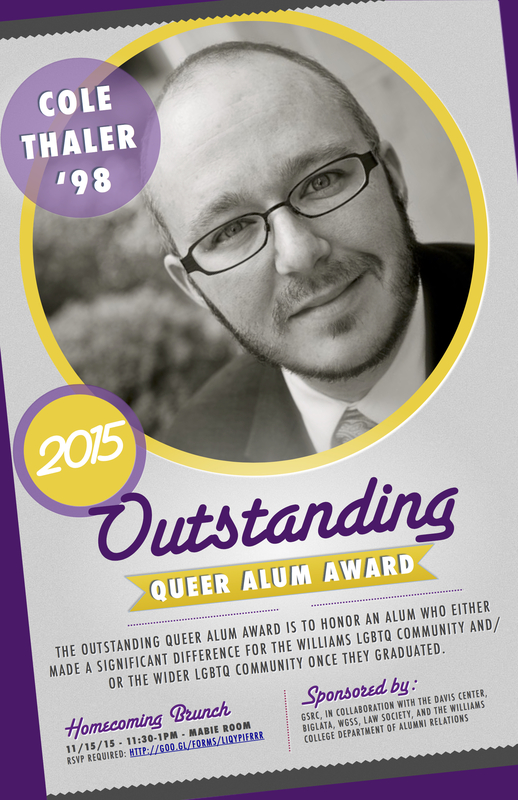 The undergrad Queer Student Union will be recognizing Cole Thaler ’98, Safe and Stable Homes Project Director at Atlanta Volunteer Lawyers Foundation, for his contributions to the LGBTQ community. All BiGLATA members, LGTBQ alumni, students, and allies are encouraged to attend. Please register in advance here.